Months after gamers discovered that Nvidia’s GeForce GTX 970 utilizes an unconventional split memory design that can affect gameplay in certain scenarios, the situation finally seems to be coming to a head. The controversy moved beyond online forums late last week, as online retailers began offering full or partial refunds to unhappy GTX 970 buyers and Nvidia was slapped with a class action lawsuit alleging false advertising. Late Monday, Nvidia CEO Jen-Hsun Huang finally issued a statement on the situation. The gist of it: Nvidia actually enabled new technical trickery inside its Maxwell architecture that allowed Nvidia to give the 4GB GTX 970 extra memory—GPUs built using past architectures would have been limited to 3GB of memory. Nvidia, says Huang, simply communicated that poorly. “We invented a new memory architecture in Maxwell. This new capability was created so that reduced-configurations of Maxwell can have a larger framebuffer – i.e., so that GTX 970 is not limited to 3GB, and can have an additional 1GB. Huang’s take jibes with the in-depth technical details that Jonah Alben, Nvidia’s senior VP of hardware engineering, shared with various publications once the GTX 970 fury hit the fan. Put this way, the GTX 970’s 3.5GB of full-speed memory and 512MB of slower memory that’s still faster than system RAM seems like a purely positive benefit, but it remains to be seen whether or not that soothes the bruised feelings of irate buyers who plopped down hundreds of dollars for a full 4GB graphics card—especially since Nvidia was also forced to admit that the initial tech specs released for the GTX 970 were incorrect and exaggerated. A diagram of the GeForce GTX 970's design. In previous GPU architectures, the DRAM and memory controller underneath the disabled L2 cache section would also have been disabled. Make no mistake: The GeForce GTX 970 is still a beast of a graphics card, and doubly so for its $330 starting price point. 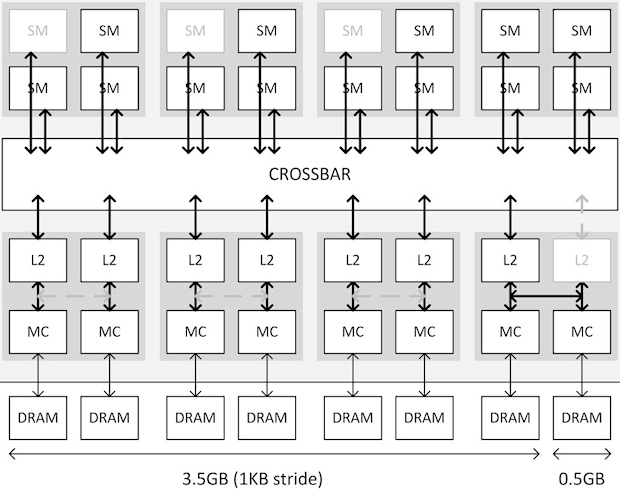 This memory design brouhaha doesn’t change any of the killer benchmark results reviewers got in their initial reviews, and even after the situation was dragged into the light, tests by numerous enthusiast sites revealed that the memory allocation usually fails to meaningfully impact performance in real-world scenarios. 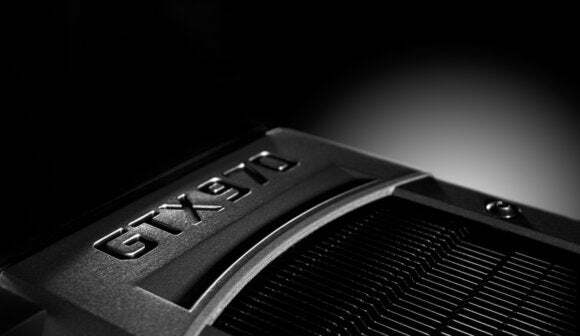 A crucial exception: Hitting the 3.5GB barrier while gaming at high resolutions in a multi-card SLI set-up results in noticeable stuttering, according to PC Perspective, which would be a major bummer if you dropped $700 on two GTX 970s to game at 4K or on a multi-monitor rig—though you’d most likely have to be playing at very low frame rates to use 3.5GB-plus of VRAM to begin with.